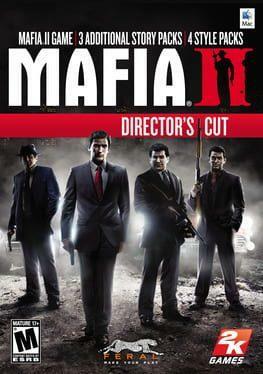 Mafia II: Director's Cut is a Compilation game, developed by 2K Czech and published by 2K Games, which was released in 2011. Live the life of Vito Scaletta, a small-time gangster with plenty of ambition and a talent for taking care of business. As Vito rises through the ranks of a powerful mob family, he soon discovers that life as a wise guy is as dangerous as it is glamorous. In a gripping and stylish action adventure, Vito must prove himself an efficient enforcer, a skilled getaway driver and a reliable hit-man. Set in a mythic post-war America, Mafia II: Director’s Cut tells an intense story of friendship, loyalty, betrayal and revenge. Mafia II: Director's Cut is available from 14.99 to 39.99 from 2 shops.